Godlyke Battery Snap to Right Angle Barrel Godlyke Power-All cable. 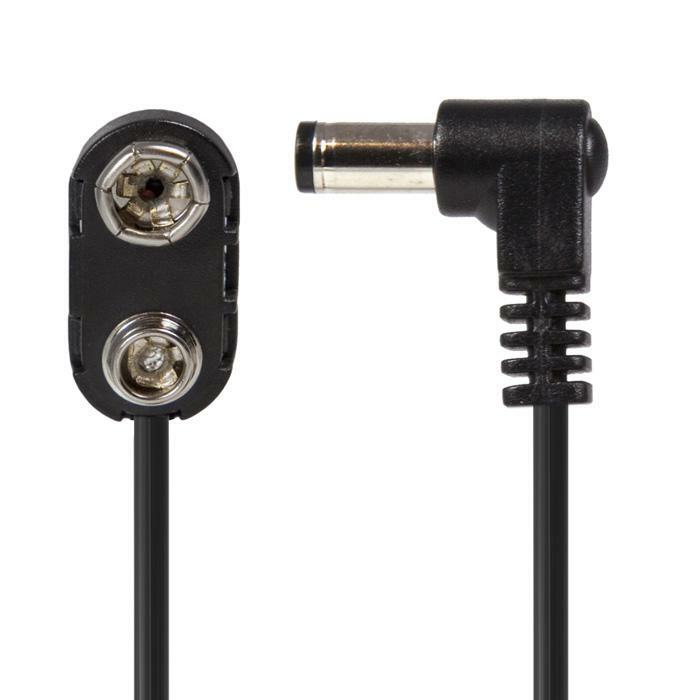 This cable enables you to use a 9 volt battery as a power source. Connect a 9 volt battery to the battery clip and the barrel will have a standard negative center for your effect. Pictures: The pictures here show the plug configurations for each cable. Their appearance may differ from the actual cable you receive however they will function all the same. The appearance and price also vary depending on the different options selected. This is due to whether a cable is mass produced or custom made and varies by the available component parts used and the complexity of the custom cable assembly. Color Coding: Many cables have color coding to differentiate the various configurations however cables in each group may be color coded in slightly different ways. Length: Choose the length that meets your needs. The approximate length is the wire measured between the plug handles. Overall length is about 2″ greater. This diagram is for reference only but it gives you an idea of how these cables are measured. 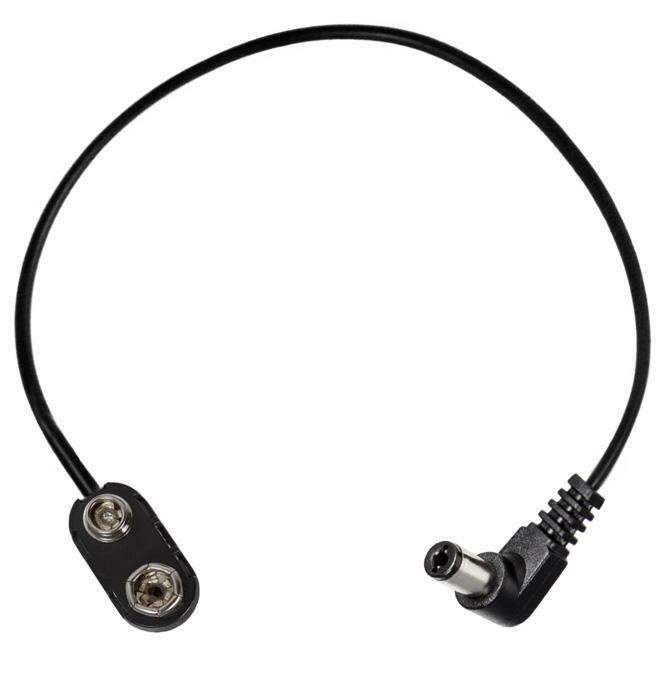 4 options: Choose connector for each end, the length and polarity.